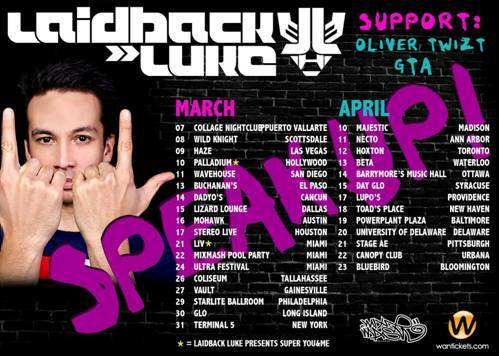 Laidback Luke’s “Speak Up!” is the next North American Club Anthem- Laidback Speak Up Bus Tour! 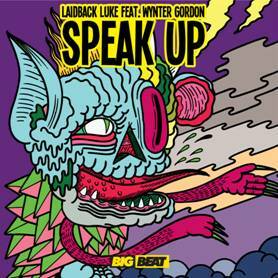 Laidback Luke, one of our favorite Dutch producers and DJ’s, is coming out with a new single “Speak Up!” on Big Beat Records. LL teamed up with none other than Wynter Gordon to generate a track that will get dance floors and crowds across the world singing the anthem as one. The name itself begins to describe the energy and emotion the track will draw out of any audience. The soft melodies and the famous Dutch sound “Speak Up!” is bound to make you want more Laidback Luke, and what better way to get more than to go see him on his biggest bus tour? Mark your calendar because on March 9th he starts touring North America, beginning in Mexico, going up to Canada and then back down through the US. If Laidback Luke was not enough, his tour features the likes of GTA, Oliver Twizt and even Wynter Gordon herself. This tour is a chance to get to see a lot of the big names that the US does not have the opportunity to see regularly, so do not miss your chance. Luke is pumped for the tour, so each show is sure to be a raging party that you’ll fight to get to the front of. The Drop Media was already psyched for what the spring had in store but with the addition of the release of “Speak Up!” and the Speak Up Bus Tour, things just got even better. We’ll have full coverage of Laidback Luke in Miami for Ultra Music Festival, and other sites so stay tuned. Now take a listen to the preview of “Speak Up!” and get it exclusively on Beatport on March 12th and soon followed by the remix package featuring Chris Lake, and fellow touree Oliver Twizt. Also check the tour listings at the bottom for when it comes to a city near you! 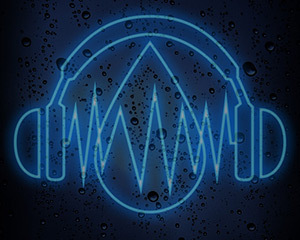 PS: Check the bottom of the post, many many Laidback originals, remixes, and more to download!